BottleRockin' it in the Napa Valley! One of the many reasons why I love living in the Bay Area is the abundance of fun and well-run indie music events. Last weekend, I ventured out to Napa Valley wine country to attendfirst annual BottleRock Music Festival. 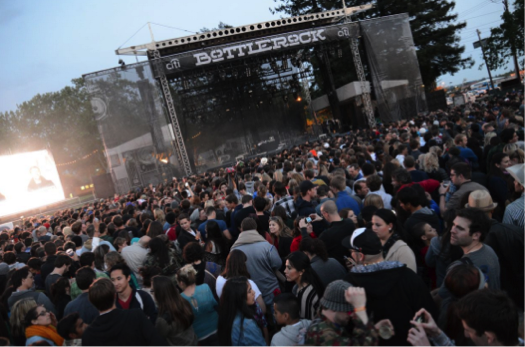 BottleRock is a 5-day music festival held at the Napa Valley Expo featuring over 50 artists, bands and performers from a variety of genres including rock, indie, county, soul, R&B and comedy. 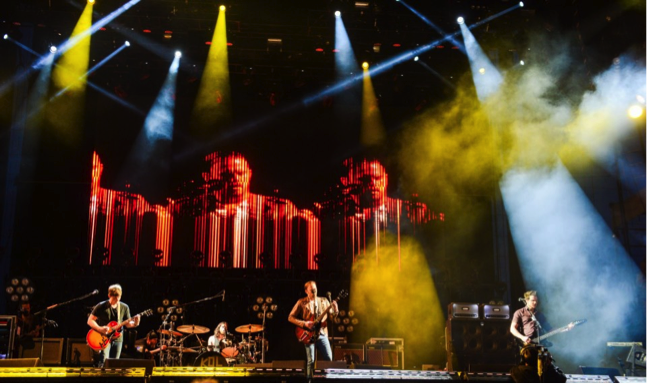 The diverse music selection attracted various age groups, with millennial bands such as Kings of Leon and The Black Key to some more classic entertainers like Train and Jackson Browne. I attended the festival on Saturday, and seeing as this was its first year, I had no idea what to expect. Overall, I was pleasantly surprised! It was well organized and well executed, with friendly staff and a great crowd. There were a wide variety of local food vendors and naturally being situated in Napa, some seriously staller wine, with over 40 local wineries set up around the venue. While sipping on the branded BottleRock wine bags, I was serenaded by some of my all-time favorite bands: Edward Sharpe and The Magnetic Zeros, Allen Stone, Ben Harper & Charlie Musselwhite. After an unimaginably successful first year, I’ve already planned to purchase my pre-sale tickets for round two. Cheers to great music, food and wine, one of the greatest pairings. At Charles Communications Associates, we get to dip our toe in the indie music pool every year when our client Wente Vineyards hosts the Homegrown Series and Front Porch Music Festival… we’re getting our dancing shoes on!